I love rainbows they make me so happy. 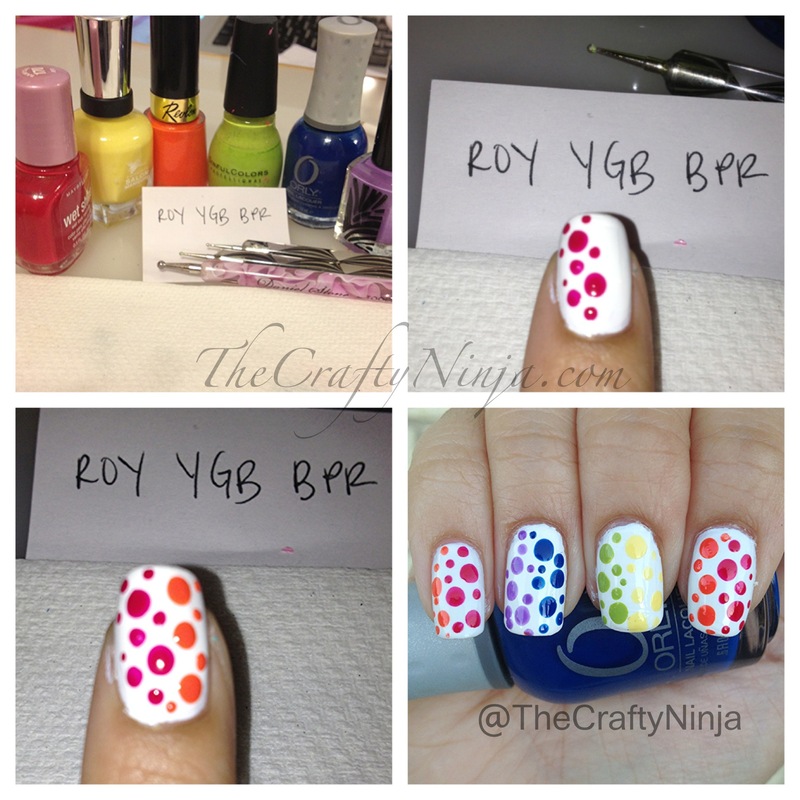 Here are my happy colorful nails! I used nail polishes that are Primary and Secondary colors: Maybelline Rainy Day, Sally Hansen Buttercup, Revlon Siren, Sinful Colors Innocent, Orly Shockwave, and Purple has no brand. I labeled ROY to make sure I used the colors in the correct order of the color wheel. A quick little coloring mixing art lesson: Red and Yellow make Orange. Yellow and Blue make Green. Blue and Red make Purple. 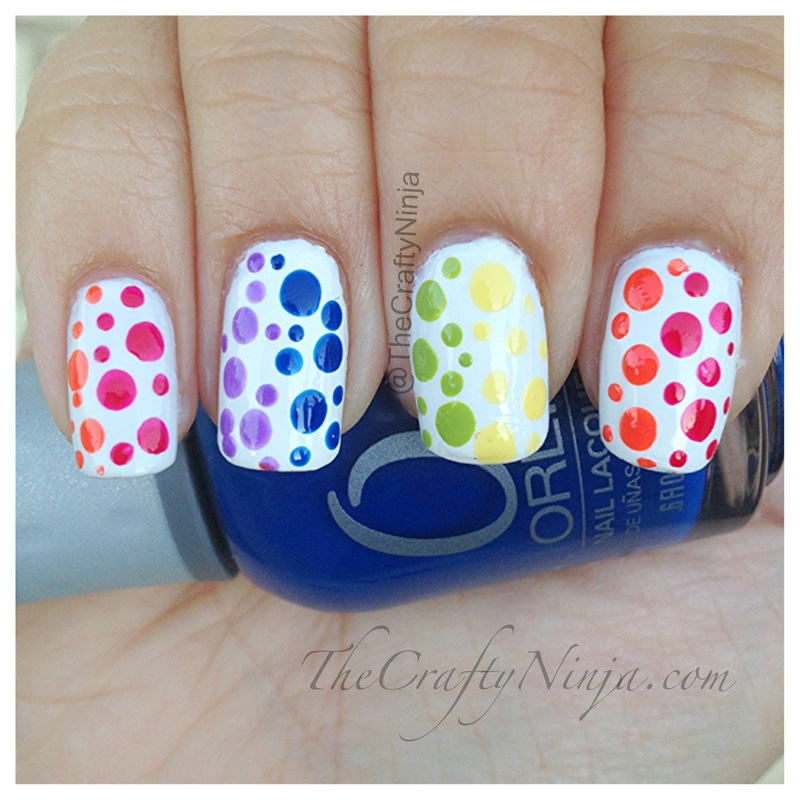 I used different sizes of the Nail Dotting Tool to create the dots. The first half I used one color and the other half I used the second colors.